It's a brilliant work of social documentary, photographed by Francois Canard, and a simple concept. 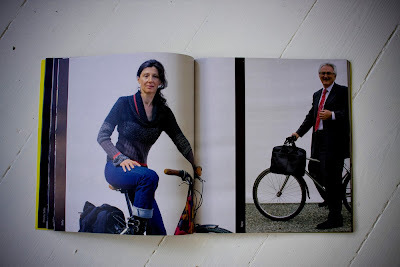 Portraits of all the different cyclists in the city. Toulouse, like many French cities are the unsung heroes of Bicycle Culture 2.0. There is massive interest in France for improving the quality of life in the cities and much of the focus is increasing the number of trips by bike. The organisation Villes Cyclables [Cyclable Cities] features almost 1000 French towns and cities who inspire each other and share knowledge about improving cycling facilities. Very impressive. 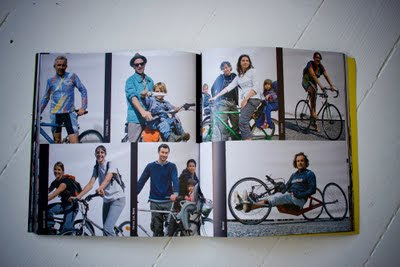 Every kind of cyclist is featured. Kids, Cycle Chicistas, dirt bikers, businessmen, hobby cyclists, cargo bikes, you name it. 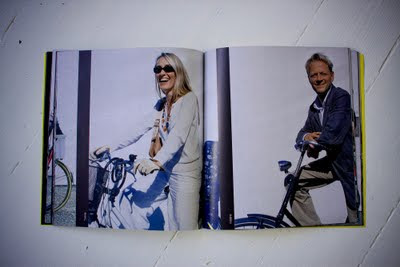 You can see more photos from the book at the website: Velocitoyen.org. And thanks to Patrick for the book and the inspiration.